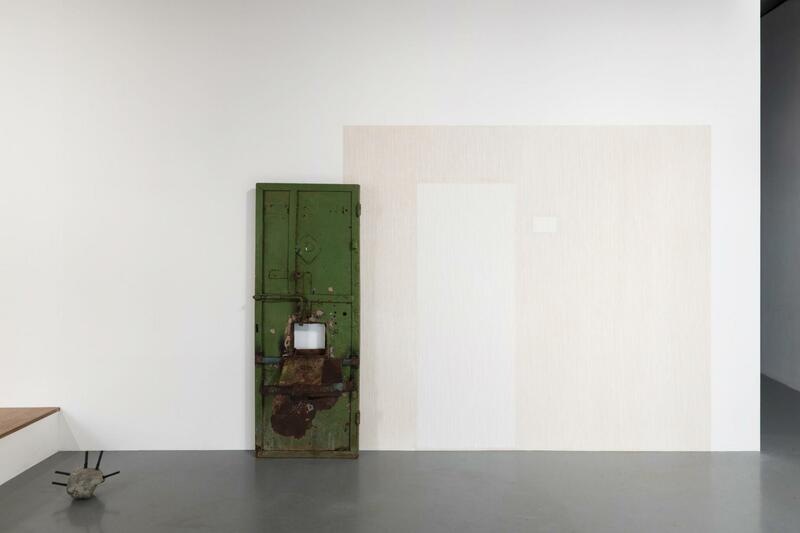 SCAI THE BATHHOUSE | Exhibitions | Past | Vajiko Chachkhiani "Moment in and out of time"
"Moment in and out of time"
Georgian artist Vajiko Chachkhiani creates works of sculpture and installation that explores conditions of human psyche mediated by mundane materials. 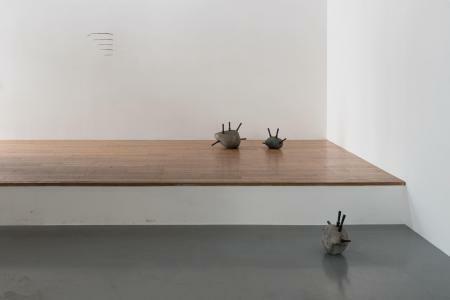 The exhibition marks Chachkhiani's first presentation in Japan, and consists of art works and installations that explore psychological states exposed to historical and otherwise traumatic events - and conditions of the human psyche mediated by commonplace materials. 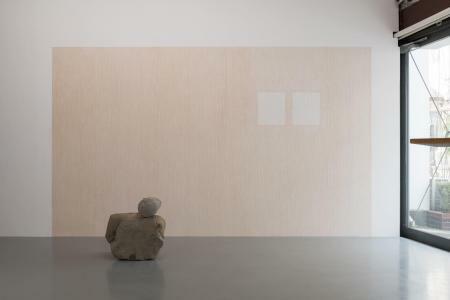 For the project entitled “Living Dog Among Dead Lions”(The Georgian Pavilion, the 57th Venice Biennale, 2017), the artist dismantled a small, abandoned wooden house from the countryside of Georgia and situated it in the pavilion, and created an uncanny, continuous rainfall inside the structure. 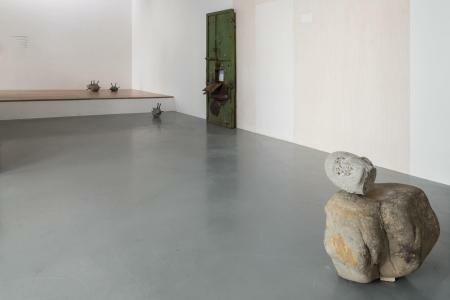 For "Father" (2014), a man sits on a chair with his feet fixed by a block of hardening concrete. 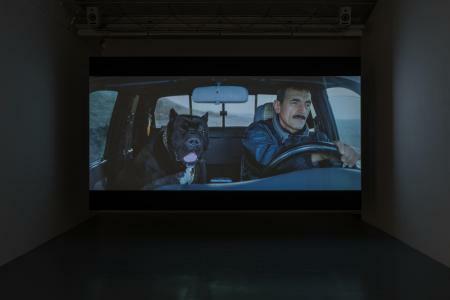 "We Drive Far, You in Front" (2016) is a looped video documenting seven basalt rocks, which collapse and collide as they fall off a cliff. These symbolic representations of events evoke poignant moments of basic, everyday realities of an individual, yet like a poem that cannot be translated, illuminate the inner life of human psyche beyond physical dimensions of material existence. 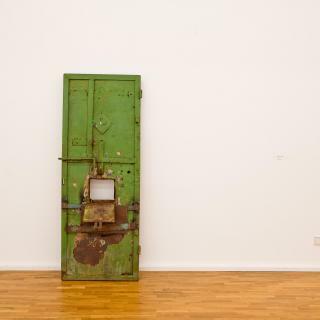 The sculptural work of the same title to the exhibition, "Moment in and out of time" (2014) is a rusting metal door with an open hatch taken from a solitary confinement chamber. The watch hole of the door is plugged with wax of the candle found inside the prison cell. 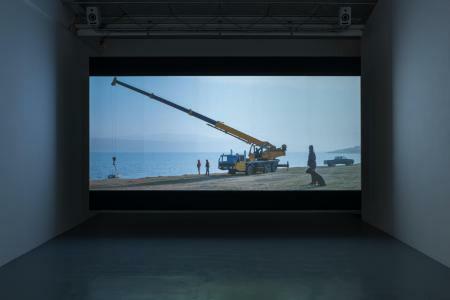 The single channel "Winter which was not there" (2017) unfolds complex, layered narratives in which a concrete statue is pulled out of the sea, and dragged along the road by car, gradually forming implications and metaphors latent in visual clues, which translate into an alternative metanarrative. Crossing over topics of current affairs, literature and poetry of his country and beyond, Chachkhiani's work suggests a poignant interpretation of the themes of life and death, disclosing conditions such as loneliness, violence and anger. The artist says of his works: "My main intention is not to work directly against a situation, but a certain resistance is part of it." With a nod to a sculptural language developed by Arte Povera and minimal intervention to the natural state of the matter, Chachkhiani alludes to the history of an individual and of a collective, by making his work a witness to perplexed human life. With a subtle interplay between the reality and the imaginary, the existential dimensions of Chachkhiani's work reveals and defends a secret of human psyche - and through physical and material means, sheds light on the conditions of being, where each takes a different walk of life.